I've met many parents who were avid volunteers before their kids were born, but gave up their charitable activities after becoming parents. I get it, because after kids arrive on the scene, so much of your time and energy goes into child rearing that you forget your past dedication to volunteering. However, community activism doesn't just benefit your community, it benefits your child (and you) as well -- and when you give up these activities entirely, it's a loss for everyone. Consider this: research shows that the more volunteer role models kids have, the more likely they are to volunteer (pdf). In turn, a full two-thirds of the 44% of individuals who volunteer as adults began volunteering while they were young. This shows that it's not only vital for kids to start volunteering when they're young, but also that it's important to set a good example by volunteering with them. No matter if you were a dedicated community volunteer for years before your child came along or not, volunteering with your child now is a great idea. 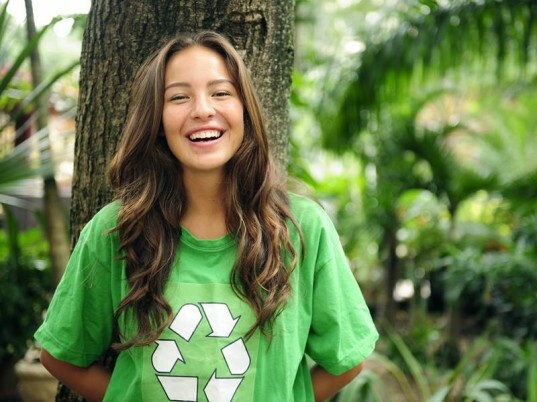 Keep reading to see tips on how to volunteer, as well as several cool eco-volunteer opportunities! Volunteering in your community has untold benefits no matter your age, but when you start volunteering when you’re young, there’s even more time for the benefits to stack up. Below are just some of the benefits of volunteering. Community & Social Benefits: Youth who volunteer feel more connected to their community, adapt better in unfamiliar social situations, have better social skills in general, and are less likely to engage in risky behavior. One study (pdf) shows that youth who volunteer one hour a week are 50% less likely to abuse alcohol, cigarettes, become pregnant, or engage in other destructive behaviors. Youth who volunteer, no matter what sort of volunteering they do, are also more likely to be knowledgeable about politics and are more likely to eventually vote than youth who do not volunteer. Character Building Benefits: Volunteering helps build good work ethics and a sense of selflessness. Kids who volunteer also learn first-hand how important it is to be kind and helpful and how to share. Other strong character skills (pdf) linked to volunteering include playing fair, having respect for others, working together, being responsible, being truthful, believing in yourself and being a good friend. Health Benefits: Research shows a strong relationship between volunteering and longer, healthier lives (pdf). People who volunteer report higher levels of happiness, life-satisfaction, self-esteem, a sense of control over life, and better physical health, as well as lower levels of depression. There’s also strong evidence that young volunteers are less likely to suffer from ill health later in life. Educational Benefits: Volunteering is a great way to learn new skills through hands-on experience. Youth who volunteer also do better in school and are 19% more likely to graduate from college than those who don’t volunteer. Plus, volunteer activities look excellent on college applications. Future Career Benefits: Volunteering is a great gateway to learning about career opportunities. Current research also shows that regular volunteers have higher odds of finding employment in today’s job market than non-volunteers. Volunteering is linked to increased networks and connections for future job seekers, increased experience, skills, and training, and 73% of potential employers say they’re more likely to higher someone with volunteer experience over someone without. Plus, for youth old enough to get a first job, volunteering is an important experience they can include on a first resume. Respect Benefits: Stunningly, one report (pdf) notes that 61% of American adults think youth have no values or morals and view youth (teens specifically) as undisciplined, disrespectful and unfriendly. That same report notes that youth are well-aware of these negative beliefs, and just 20% of young people feel that adults in the community value them. Youth who volunteer have an opportunity to work with older generations, and when everyone is working on a common goal, it can go a long way towards building a better, mutual trust and understanding which benefits everyone involved. Fun Benefits: Volunteering is not all about gaining skills, it’s also interesting and fun. You get to meet new people, build friendships, try new activities and volunteering offers a relaxing, energizing escape from the many pressures kids face including family dynamics, school, and peer drama. There are right and wrong ways to volunteer with kids. Check out the tips below for help. Start Today: I’ve watched parents try to volunteer for the first time with younger kids and also with teens – who do you think is more successful? The parents with younger kids in almost all situations. Older kids are less likely to change their habits, and that includes not being down with taking time out of their schedule to help others. Start volunteering with your kids when they’re young for the easiest, highest impact experience. Choose Age Appropriate Opportunities: Not all volunteer opportunities are great for kids. For example, animal shelters have cute animals sure and kids love that, but there’s also a lot of hard work involved and some dangerous animals that a young kid may be eager to pet. 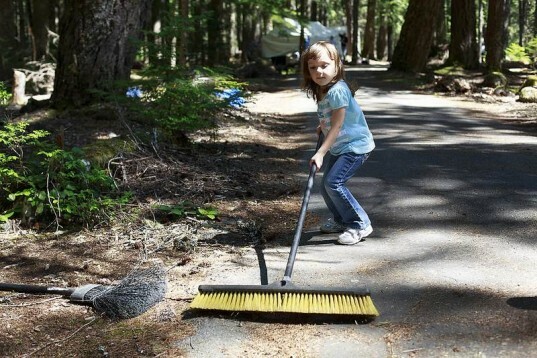 Some community clean-ups may involve dangerous items like needles, chemicals and so on, thus not great for toddlers. Look into each opportunity carefully and ask the volunteer representative what’s involved. Don’t Link Volunteering to the Holidays Alone: Many families volunteer just once a year, often around winter holidays like Christmas. This may create a whole, “I have to be better around the holidays so I get gifts” sort of mentality in kids and doesn’t represent actual community need. Each community needs help year-round, not just on special occasions when everyone’s feeling charitable. Reward with Memories: Rewarding a child for volunteering with a toy or money (because they did a good job) defeats the experience of giving selflessly and shows kids that the best reason to volunteer is for personal gain. There are ways to commemorate your experiences without rewarding your child materially. Take a camera along and snap pictures. Display the pictures proudly so your child can see them and remember the experience. You can also start a volunteer journal, scrapbook or have a personalized volunteer book created. Another fun idea is to have during or after-volunteer routines in place, like a special lunch bag or backpack used only on volunteer days or after volunteering you can discuss your experience at a cafe over hot cocoa or a juice smoothie. Try One-time and Long-term Projects: One-time volunteering is good, such as gathering items for a shelter, planting a tree or donating books or toys to a non-profit because it teaches kids that small steps can make a difference. However, long-term volunteer projects teach on-going responsibility, how to see a project through, dedication and connect youth with more long-term friendships and resources. Give Your Child Options: Asking a child, “Where do you want to volunteer?” may be met with a blank stare, “Huh?” Or you’ll get a kid who rambles off a million ideas that aren’t always doable. But it is important to make your child feel like he’s in on it. Gather up three good volunteer ideas, present those to your child and let him pick one. Get Excited: After you choose a volunteer activity, talk it up. Get your child excited by discussing what you’ll be doing, who it’s helping and why it matters. Make volunteering fun, not a chore by using statements like, “We get to volunteer today!” vs. “Today we have to go and volunteer because it’s the right thing to do.” Once at the activity, have fun. Don’t put your kid down if he makes mistakes or doesn’t seem very enthusiastic. It can take time to learn how to volunteer and to start liking it. If your child can’t get on board with a specific experience, it’s fine to try new volunteer opportunities. Bring Buddies: Allow your older child to bring their best friend along. Not only does this benefit the friend, but it can increase the likelihood than a reluctant kid volunteer will enjoy himself. 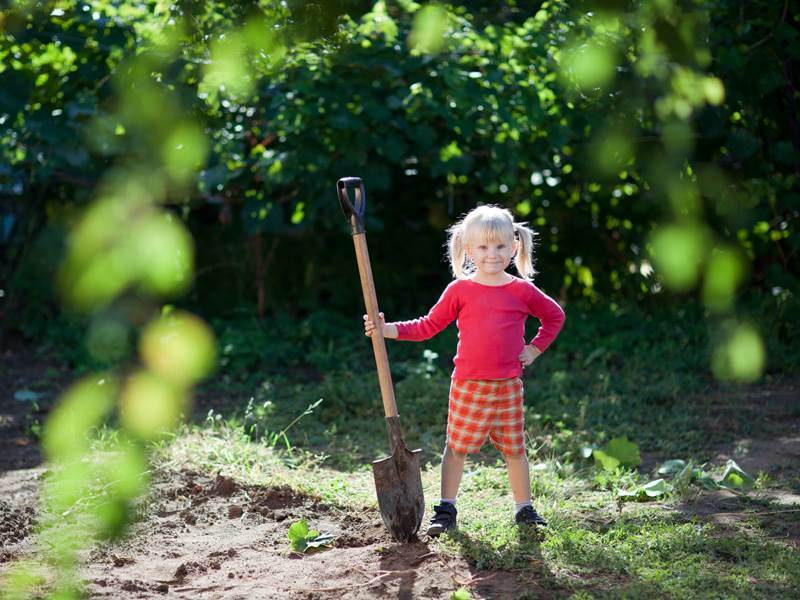 The Arbor Day Foundation offers some of the easiest eco-volunteer activities to explore. 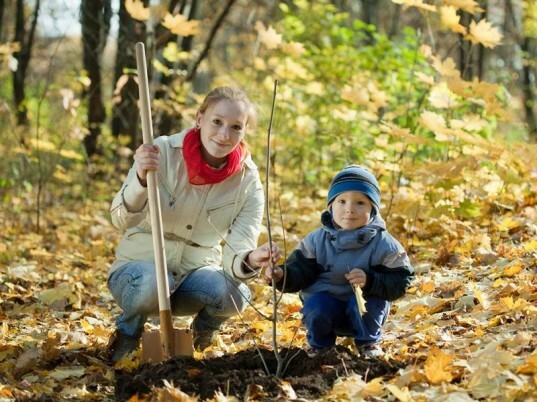 Not only does this foundation have a simple interactive and easy-to-use database for locating tree planting and conservation-oriented volunteer opportunities in all 50 states but they offer virtual volunteer activities and reward key volunteers with recognition and prizes. The organization notes that in 2012, they gave prizes to 4 volunteers who logged a combined 150 service hours, showing how they value their helpers. In my area alone (PDX) there are 62 amazing volunteer opportunities available through the foundation including restoring forest habitats, caring for young trees, helping at urban gardens, fundraising, metal recycling for Habitat for Humanity and much, much more. Plus, you can sort opportunities by age group and cause area. PAWS cares for and heals between 6,000 and 8,000 cats, dogs and wild animals every year. PAWS takes on volunteer foster families who provide temporary homes for displaced animals but also has opportunities like service days for kids 10 and older to fix dog trails, spending days with dogs at the park, fundraising, dog bake sales and much more. PAWS is located in Lynnwood, Washington, so most opportunities are near Seattle, but do not let this stop you from checking the PAWS website out. They offer an outstanding kids resource page full of ideas about ways that kids can help animals plus links to animal volunteer opportunities in other areas and an unbelievably cool, FREE Kids’ Action Guide (pdf) that not only teaches kids how to volunteer with animals but how to be a caring consumer too. Regard for our U.S. National Parks has been in decline for years. We’ve got parks closing down, major budget cuts affecting our parks and alarmingly, 96% of parents report their kids have experience playing video games, but just 61%-74% of parents say that their children have visited a national or state park. It’s all very depressing. Luckily by volunteering with the National Park Service (NPS) your family can not only experience some of these beautiful parks, but help care for and conserve them. Volunteers-In-Parks (VIPs) is the main volunteer program of NPS. Volunteers work side-by-side with National Park Service employees and partners in parks from Oregon to New York; from Maine to Hawaii, from Alaska to Florida, in big cities, small towns, and cool remote wilderness areas. Because there are more than 390 national parks throughout the United States, you’ll have an easy time finding a park near you. Volunteers take on tasks such as working at an information desk; building fences and painting buildings; giving guided nature walks and running evening campfire programs; maintaining trails and more. Kids are allowed to volunteer as well, either with parents or with signed parent permission. There are short-term volunteer opportunities as well such as National Parks Week and high school students can check out the Student Conservation Association or even look at paid park work and learning experiences through Youth Conservation Corps (YCC). Volunteering in your community has untold benefits no matter your age, but when you start volunteering when you're young, there's even more time for the benefits to stack up. Below are just some of the benefits of volunteering. Community & Social Benefits: Youth who volunteer feel more connected to their community, adapt better in unfamiliar social situations, have better social skills in general, and are less likely to engage in risky behavior. One study (pdf) shows that youth who volunteer one hour a week are 50% less likely to abuse alcohol, cigarettes, become pregnant, or engage other destructive behavior. Youth who volunteer, no matter what sort of volunteering they do, are also more likely to be knowledgeable about politics and are more likely to eventually vote than youth who do not volunteer. Character Building Benefits: Volunteering helps build good work ethics and a sense of selflessness. Kids who volunteer also learn first-hand how important it is to be kind, helpful and share. Other strong character skills (pdf) linked to volunteering include playing fair, having respect for others, working together, being responsible, being truthful, believing in yourself and being a good friend. Health Benefits: Research shows a strong relationship between volunteering and longer, healthier lives (pdf). People who volunteer report higher levels of happiness, life-satisfaction, self-esteem, a sense of control over life, and better physical health, as well as lower levels of depression. There's also strong evidence that young volunteers are less likely to suffer from ill health later in life. Educational Benefits: Volunteering is a great way to learn new skills through hands-on experience. Youth who volunteer also do better in school and are 19% more likely to graduate from college than those who don't volunteer. Plus, volunteer activities look excellent on college applications. Future Career Benefits: Volunteering a great gateway to learning about career opportunities. Current research also shows that regular volunteers have higher odds of finding employment in today’s job market than non-volunteers. Volunteering is linked to increased networks and connections for future job seekers, increased experience, skills, and training, and 73% of potential employers say they're more likely to higher someone with volunteer experience over someone without. Plus, for youth old enough to get a first job, volunteering is an important experience they can include on a first resume. Fun Benefits: Volunteering is not all about gaining skills, it's also interesting and fun. You get to meet new people, build friendships, try new activities and volunteering offers a relaxing, energizing escape from the many pressures kids face including family dynamics, school, and peer drama. Start Today: I've watched parents try to volunteer for the first time with younger kids and also with teens - who do you think is more successful? The parents with younger kids in almost all situations. Older kids are less likely to change their habits, and that includes not being down with taking time out of their schedule to help others. Start volunteering with your kids when they're young for the easiest, highest impact experience. Choose Age Appropriate Opportunities: Not all volunteer opportunities are great for kids. For example, animal shelters have cute animals sure and kids love that, but there's also a lot of hard work involved and some dangerous animals that a young kid may be eager to pet. Some community clean-ups may involve dangerous items like needles, chemicals and so on, thus not great for toddlers. Look into each opportunity carefully and ask the volunteer representative what's involved. Don't Link Volunteering to the Holidays Alone: Many families volunteer just once a year, often around winter holidays like Christmas. This may create a whole, "I have to be better around the holidays so I get gifts" sort of mentality in kids and doesn't represent actual community need. Each community needs help year-round, not just on special occasions when everyone's feeling charitable. Try Onetime and Long-term Projects: Onetime volunteering is good, such as gathering items for a shelter, planting a tree or donating books or toys to a non-profit because it teaches kids that small steps can make a difference. However, long-term volunteer projects teach on-going responsibility, how to see a project through, dedication and connect youth with more long-term friendships and resources. Give Your Child Options: Asking a child, "Where do you want to volunteer?" may be met with a blank stare, "Huh?" Or you'll get a kid who rambles off a million ideas that aren't always doable. But it is important to make your child feel like he's in on it. 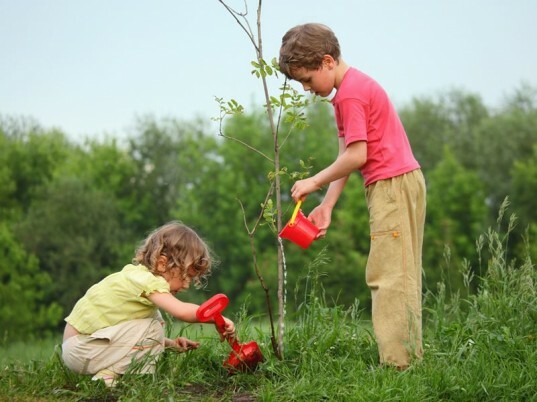 Gather up three good volunteer ideas, present those to your child and let him pick one. Get Excited: After your choose a volunteer activity, talk it up. Get your child excited by discussing what you'll be doing, who it's helping and why it matters. Make volunteering fun, not a chore by using statements like, "We get to volunteer today!" vs. "Today we have to go and volunteer because it's the right thing to do." Once at the activity, have fun. Don't put your kid down if he makes mistakes or doesn't seem very enthusiastic. It can take time to learn how to volunteer and to start liking it. If your child can't get on board with a specific experience, it's fine to try new volunteer opportunities. 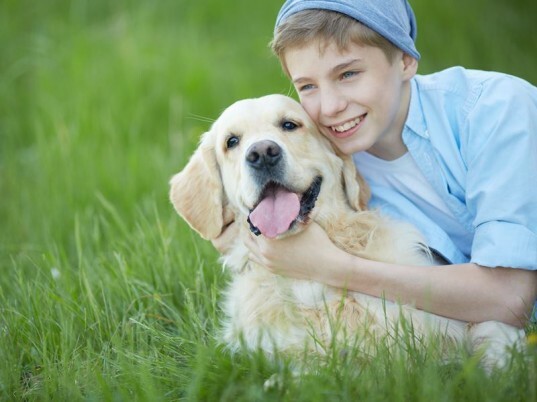 Bring Buddies: Allow your older child to bring their best friend along. Not only does this benefit the friend, but it can increase the likelihood than a reluctant kid volunteer will enjoy themselves. PAWS cares for and heals between 6,000 and 8,000 cats, dogs and wild animals every year. PAWS takes on volunteer foster families who provide temporary homes for displaced animals but also has opportunities like service days for kids 10 and older to fix dog trails, spending days with dogs at the park, fundraising, dog bake sales and much more. PAWS is located in Lynnwood, Washington, so most opportunities are near Seattle, but do not let this stop you from checking the PAWS website out. They offer an outstanding kids resource page full of ideas about ways that kids can help animals plus links to animal volunteer opportunities in other areas and an unbelievably cool, FREE Kids' Action Guide (pdf) that not only teaches kids how to volunteer with animals but how to be a caring consumer too. Regard for our U.S. National Parks has been in decline for years. We've got parks closing down, major budget cuts affecting our parks and alarmingly, 96% of parents report their kids have experience playing video games, but just 61%-74% of parents say that their children have visited a national or state park. It's all very depressing. Luckily by volunteering with the National Park Service (NPS) your family can not only experience some of these beautiful parks, but help care for and conserve them. Volunteers-In-Parks (VIPs) is the main volunteer program of NPS. Volunteers work side-by-side with National Park Service employees and partners in parks from Oregon to New York; from Maine to Hawaii, from Alaska to Florida, in big cities, small towns, and cool remote wilderness areas. Because there are more than 390 national parks throughout the United States, you'll have an easy time finding a park near you. Volunteers take on tasks such as working at an information desk; building fences and painting buildings; giving guided nature walks and running evening campfire programs; maintaining trails and more. Kids are allowed to volunteer as well, either with parents or with signed parent permission. 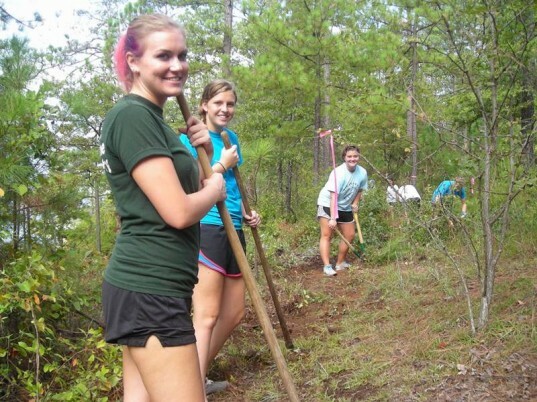 There are short-term volunteer opportunities as well such as National Parks Week and high school students can check out the Student Conservation Association or even look at paid park work and learning experiences through Youth Conservation Corps (YCC).